You all know how I feel about foundations and how much I love them so I would skip the now boring intro and get right into it. 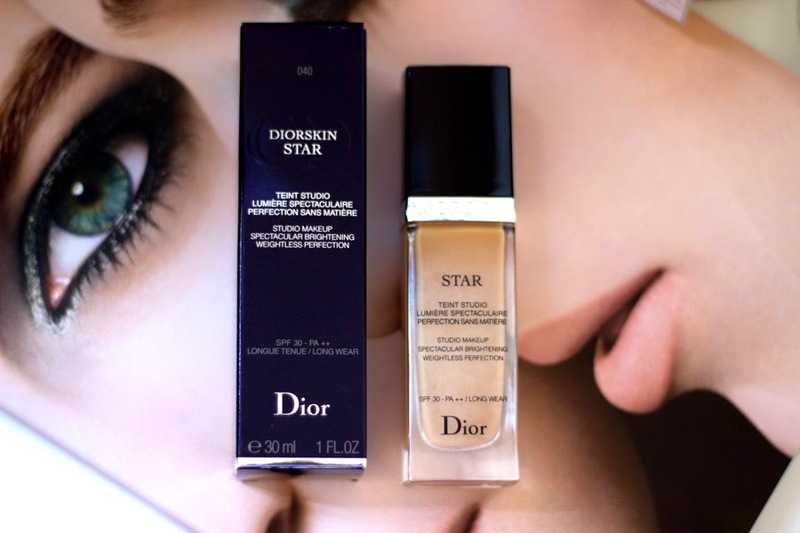 I definitely didn't need another foundation but I really wanted to try the DiorSkin Star Foundation after I had read a few rave reviews even though I never buy into all of them but I was intrigued when I actually tried it out in store. The sales lady was also really nice and helpful so I was happy to pick it up. 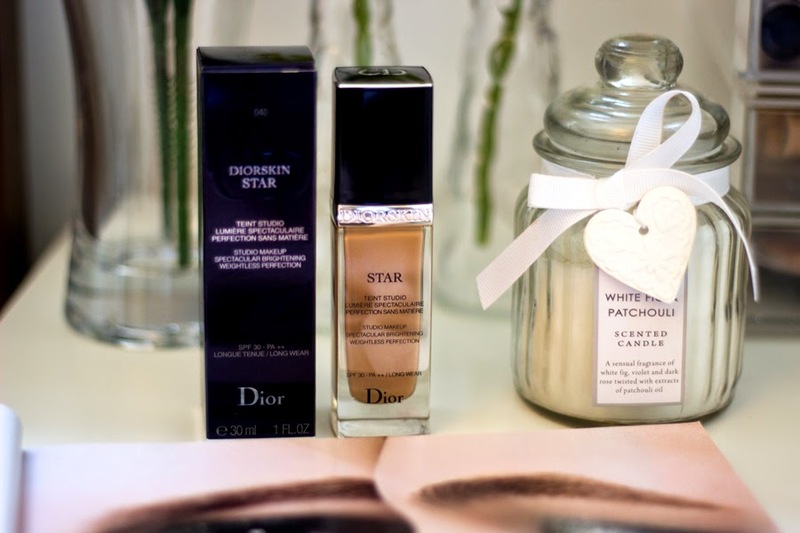 She did a little makeover for me and I liked the results so I purchased up the DiorSkin Star Foundation in 050 initially before I I realised it was way too dark for me after a few hours as it oxidises and I will tell you more about that in a bit. 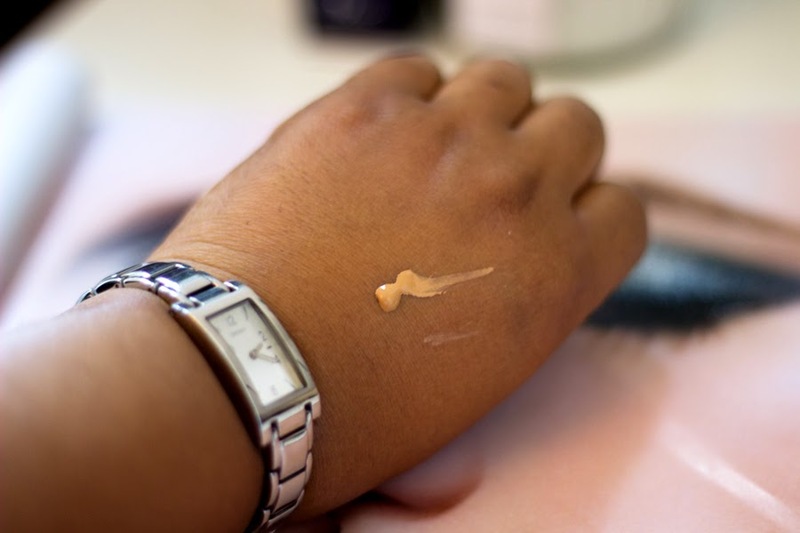 So, thankfully I had not used it because I was working from the sample she tested on me so I went back and exchanged it for the 040 which is not the best match but it was definitely much better on my skin than the 050. This is a very picture heavy post but I could not help but click away with my camera as the foundation looked so pretty..don't you think so or nah?.. I have to say this is the most beautiful foundation packaging I own and as you can imagine I was completely sold by the packaging as it looks so lush, expensive and classy. I mean you can never go wrong with black and silver. 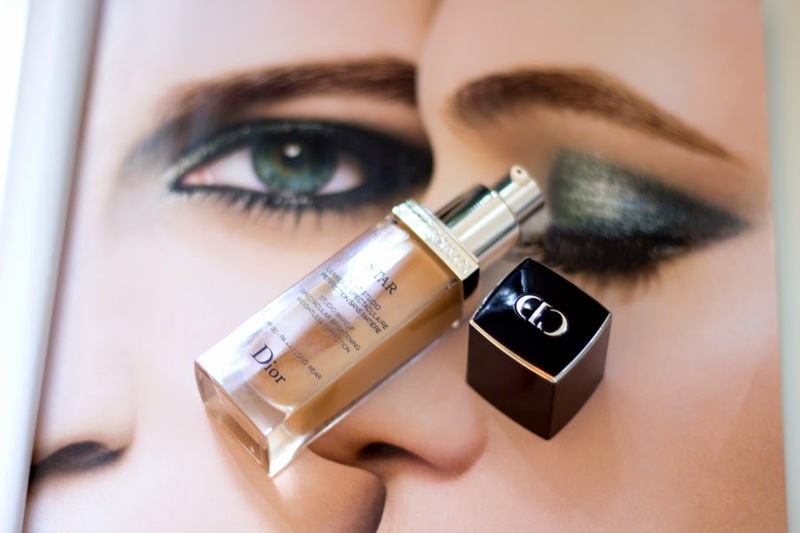 Everything about the bottle is luxurious and rightly so because it is/was not a cheap foundation at all. 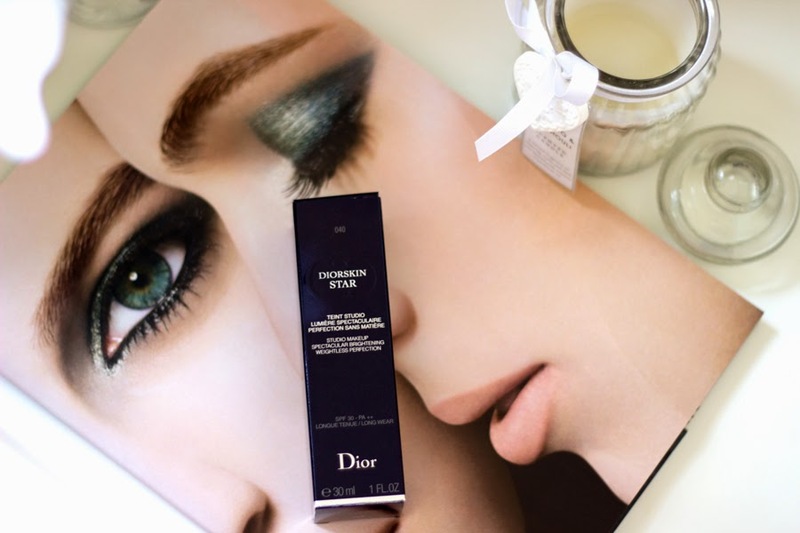 It has a black lid with faux silver lining round the bottle and inscribed with CD for Christian Dior and Diorskin and it looks amazing as you can tell from the pictures and even better in real life (yes, I am obsessed with packaging). It has a pump which also has the chrome/silver designs. I can't say it is the best for travelling because it is made from glass so it is a little heavy but I guess one can pump some out in a tub if you are really desperate to travel with it. As mentioned earlier, I was matched initially to 050 which seemed fine in store but looked considerably dark after a few hours so I went back to exchange it for 040 Honey Beige which does not look like the right match when initially applied but it is a good match when it is blended and set with my MAC MSF Natural in Dark. It has a liquid texture so it is advisable to give it a good shake before using. 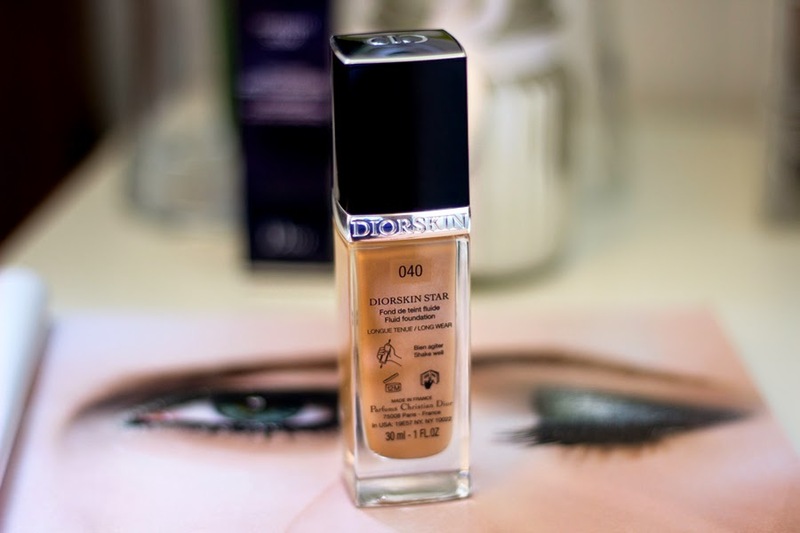 In terms of coverage, I would say it gives a medium coverage which you can build to full coverage if you wish but I prefer to leave it at a medium coverage to have a more natural look. 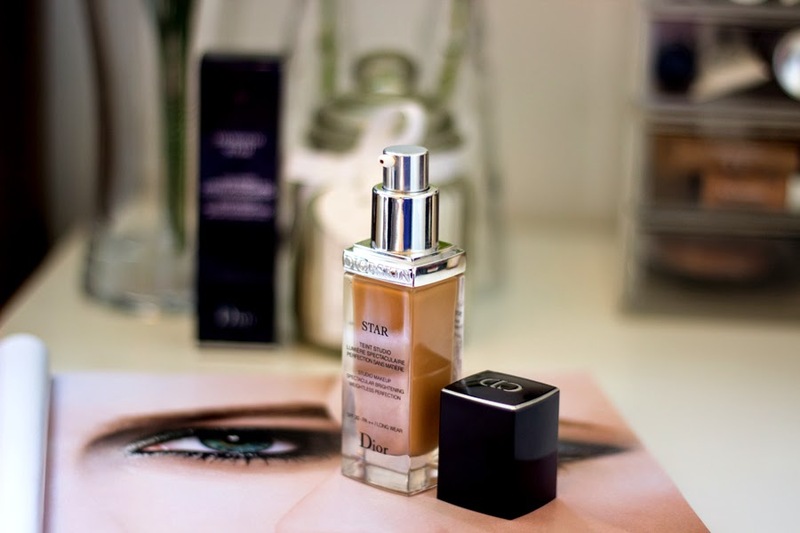 Although it offers good coverage, if feels really light and I can barely feel it once it is applied and that's what I love most about this foundation apart from its luxurious packaging. 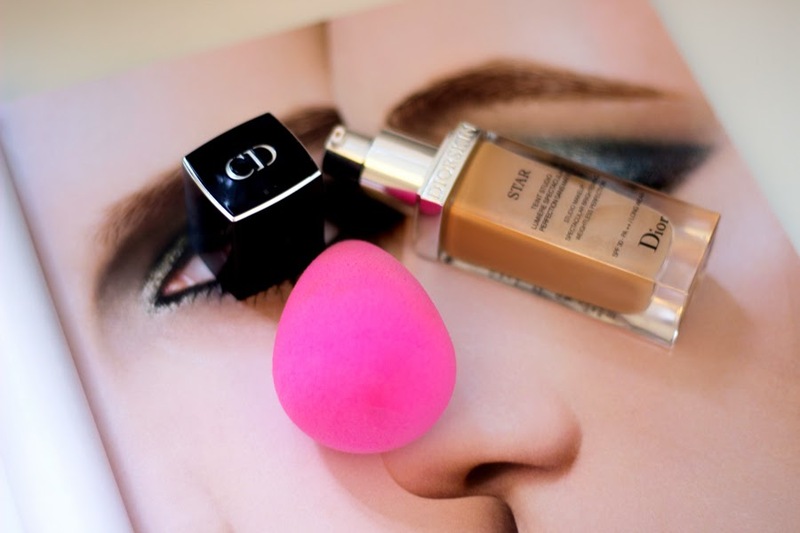 I find that it is really easy to blend if you use a Beauty Blender because it gives the best result but sometimes I use a buffing brush and it still looks good. I use a primer first then I apply it in dots around my face and blend it in with either a Beauty Blender or a Buffing brush. 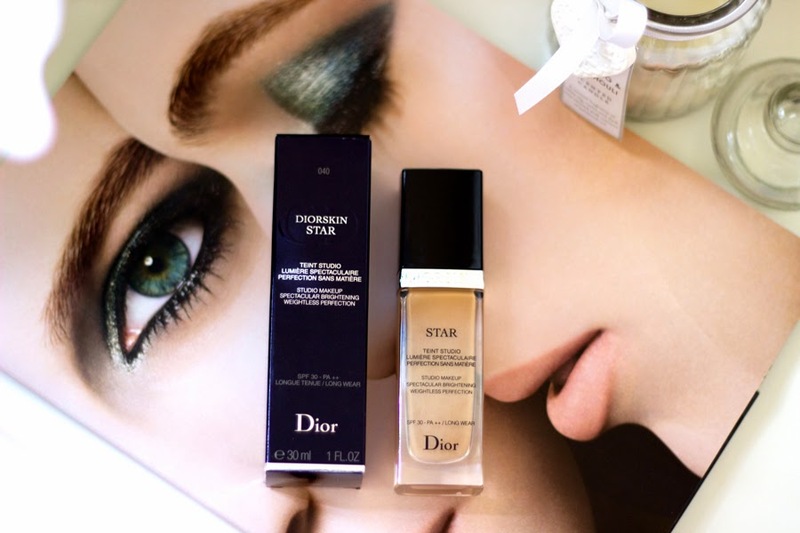 I use a concealer sometimes and then go in with my MAC MSF in Dark. The reason why it looks like a good match despite it being a little too beigey for me as I have yellow undertones is that the MAC MSF adds a warmth to it and it is slightly darker than my skin so it brings everything in together to the most amazing finish ever. 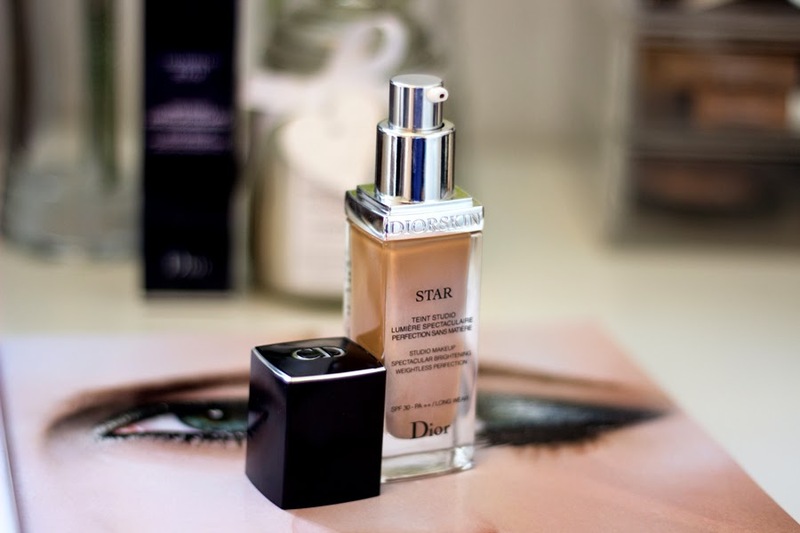 Compared to all the other foundations in my stash, I would say this looks the most flattering and this may be down to its unique luminous formula. In terms of lasting power, I have mixed feelings with it. Sometimes, it lasts really well all through the day and other times, it starts wearing off/out around 3pm or so (I would have applied it like 8am) so it’s not too bad. I find that I still get a little oily on my forehead but it’s not as bad as with other foundations. 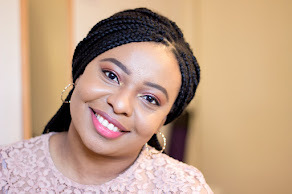 The finish is a luminous matte finish which is perfect for my combo-oily skin but I think it would be nice for many skin types. 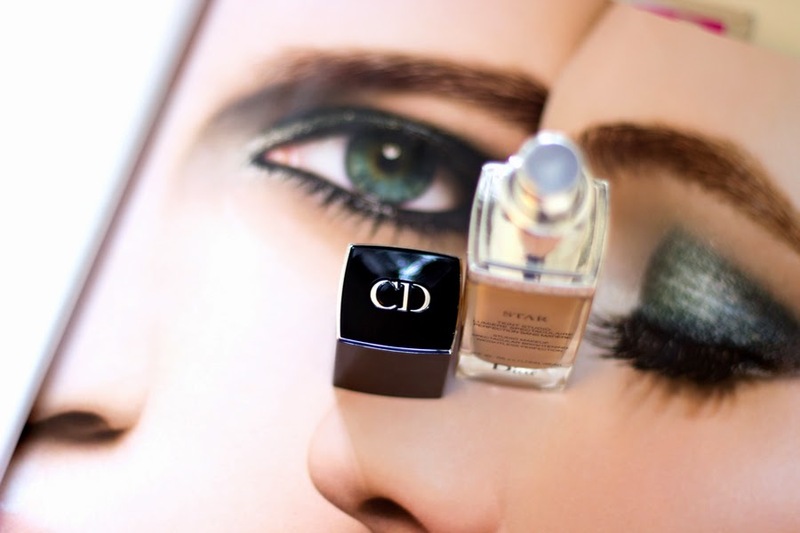 I always use a powder with it but I don’t really think one needs to because the finish is really good. It retails for £32.00 which is quite pricey I have to admit but that’s the range for most high end foundations so it’s not a huge surprise. I always wait till there is a discount before buying any expensive product and I got this with the 10% Debenhams Discount which took it down to £28.80 or so which is not too shabby. 2. It is prone to oxidise which is why you need to obtain a sample and test it out for a day at least. I'm going to try this out, I got a voucher for a free 7-day trial of it in a magazine, so I'll go to the counter to get matched. I'm really excited about trying it now!